Cuckoo's Nest offers outstanding self catering accommodation in Cirencester. 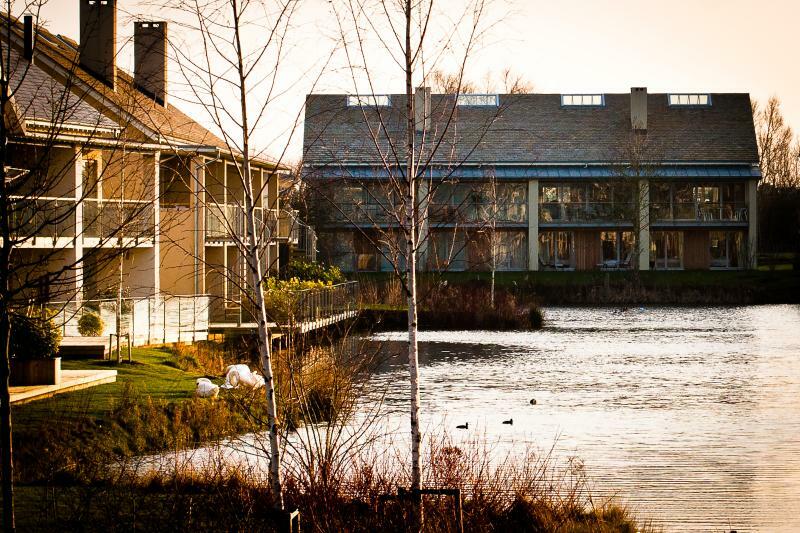 This luxurious and modern property is located in a glorious 550 acre nature reserve in a peaceful part of The Cotswolds. 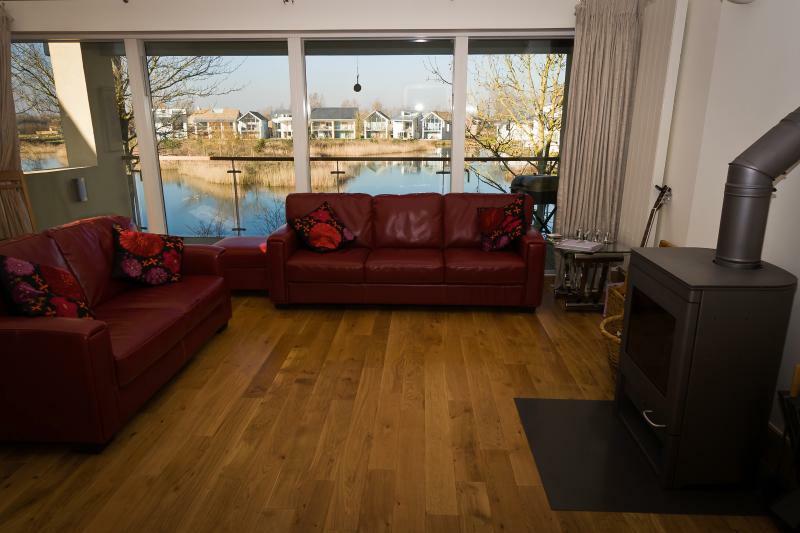 This contemporary glass fronted house boasts spectacular views of the lakes. You can also enjoy views from the double height living area on the first floor. On the ground floor there are three bedrooms: two twins and a king size en suite room. The twin rooms both share a luxurious family bathroom. On the first floor is a beautifull furnished & well equipped living/dining area & kitchen. Sliding doors open onto the enclosed balcony. The second floor has a master en suite bedroom with a luxurious walk in shower. Five minute's walk away is the ArtSpa, which has indoor and outdoor heated swimming pools, outdoor eco pool, sauna, steam room and treatments. Canoeing and fishing on the lake is also available, as well as an onsite restaurant, shop and tennis courts. 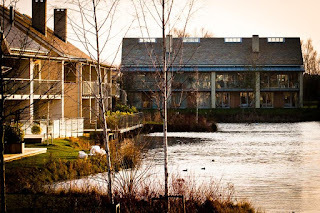 Just a short drive away you will find plenty of adventure with water skiing, bike rides and the Keynes Country Park. Other attractions in the area include the Cotswold Wildlife Park and Gardens, Cotswold market towns and the renowned Westonbirt Arboretum.